Pearl Harbour, August 9: Wrapping up the world’s largest international maritime exercise, RIMPAC 2018, which took place in and around the Hawaiian Islands and Southern California, has drawn to a close. Bringing an end to over a month of training exercises involving 25 naval forces from across the Indo-Pacific region. 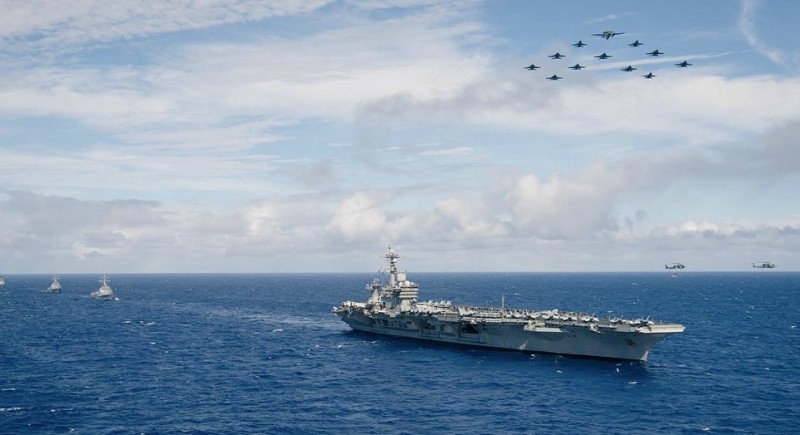 A total of 25 nations, 46 surface ships, five submarines, 17 land forces, and more than 200 aircraft and 25,000 personnel participated in the 26th edition of RIMPAC. U.S. vice Adm. John Alexander said, "I couldn’t be more proud of our international team’s ability to successfully complete an exercise of this nature. Most importantly, we completed the exercise safely while still achieving national training objectives." Describing the multinational operations to be complicated, Alexander said the involvement of so many different countries working together to successfully accomplish RIMPAC was a strong reminder of the unity coalition forces can exhibit in a real-world situation. INS Sahyadri, commanded by Captain Shantanu Jha, a state-of-the-art indigenously built guided missile stealth, which is a part of the Eastern Fleet under the Eastern Naval Command, participated in the exercise. Along with India, this year’s exercise included forces from Australia, Brunei, Canada, Chile, Colombia, France, Germany, India, Indonesia, Israel, Japan, Malaysia, Mexico, Netherlands, New Zealand, Peru, Republic of Korea, Republic of the Philippines, Singapore, Sri Lanka, Thailand, Tonga, United Kingdom, United States and Vietnam. Owing respect to the Indian Navy for the honor and courage they inherit in themselves, the Indian Navy posted a video on Instagram saluting the cadets for their inspiring physical effort and selfless service. This robust constellation of allies and partners support sustained and favorable regional balances of power that safeguard security, prosperity, and the free and open international order. RIMPAC 2018 contributes to the increased lethality; resiliency and agility needed by the joint and combined force to deter and defeat aggression by major powers across all domains and levels of conflict.